'This is reminding me of a literature version of Pokemon Go, except instead of catching Pikachu, it's an empowering novel,' tweeted a fan. Actor Emma Watson made at least 100 book-lovers in Paris very happy on Wednesday as she wandered around the French capital hiding copies of Margaret Atwood's The Handmaid's Tale. 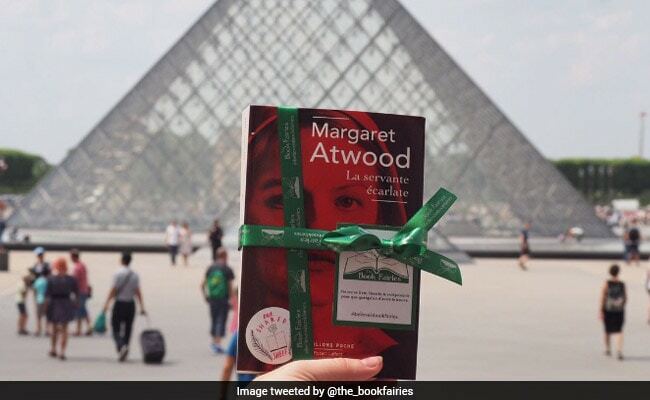 Working with a group called The Book Fairies, the actor tweeted to announce she would be hiding books around the city. Members of The Book Fairies routinely hide books around the world for people to find, read, and, ideally, leave for someone else. The group tweeted clues about where the books were being hidden in Paris and many of them were discovered by lucky fans. The dystopian novel is this month's pick for Ms Watson's online book club, Our Shared Shelf. The Handmaid's Tale was recently turned into a popular television series. Set in the near future, the book describes life in what was once the United States and is now called the Republic of Gilead. The Beauty and the Beast and Harry Potter star previously hid books around New York City for International Women's Day on 8th March.